We help you find the best bourbon for your buck with fun and honest reviews, and by suggesting products that help you get the most out of every bottle. 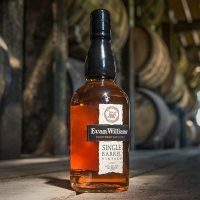 Bourbon Of The Day is a participant in the Amazon Associates Program, an affiliate advertising program designed to provide a means for sites to earn advertising fees by advertising and linking to Amazon.com. Bourbon Of The Day also participates in affiliate programs with Pepperjam, Clickbank, CJ and other sites. Bourbon Of The Day is compensated for referring traffic and business to these companies.